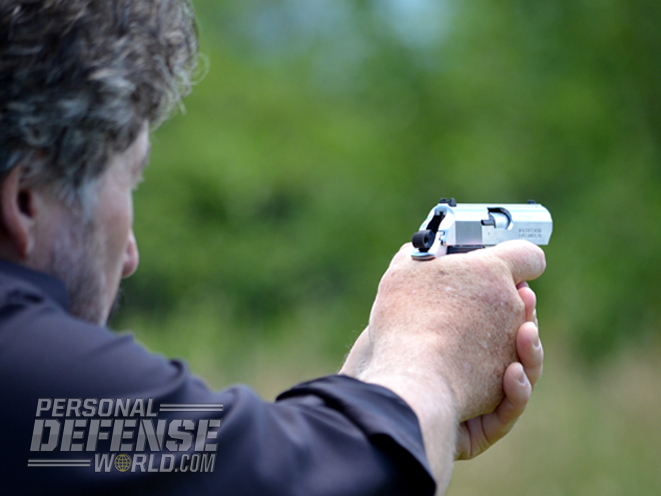 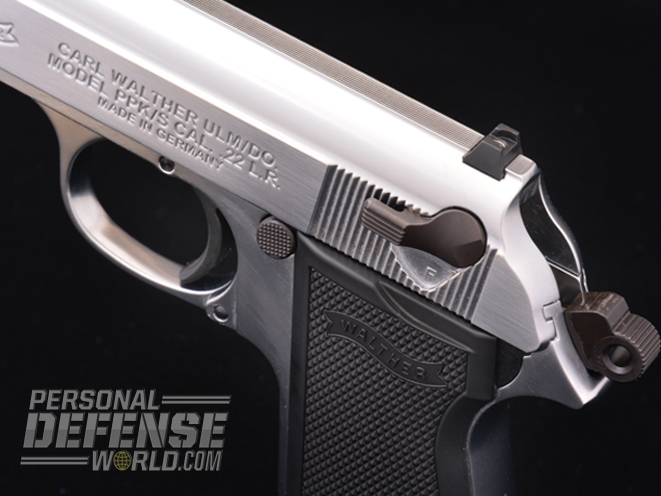 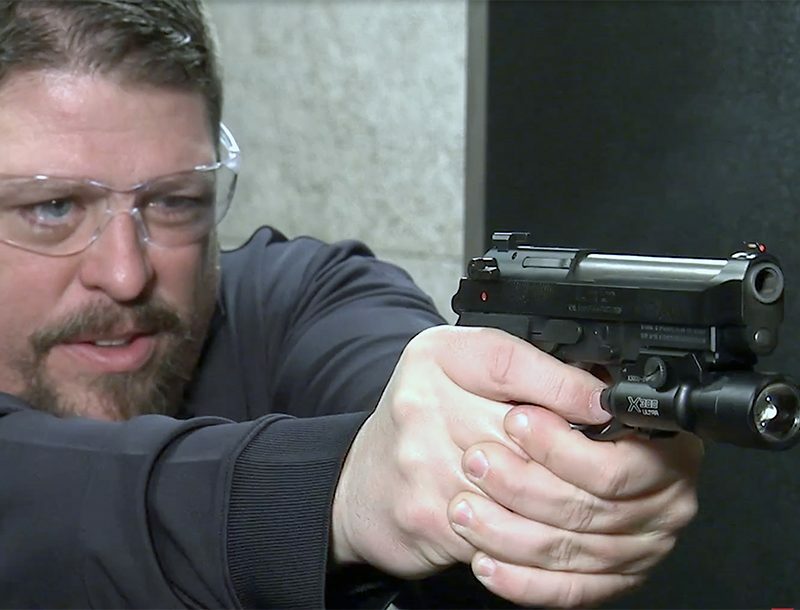 In the upcoming 2015 issue of HANDGUN BUYER’S GUIDE, author Dennis Adler tests out the new Walther PPK/S in .22 LR, a rimfire variant of James Bond’s classic gun. 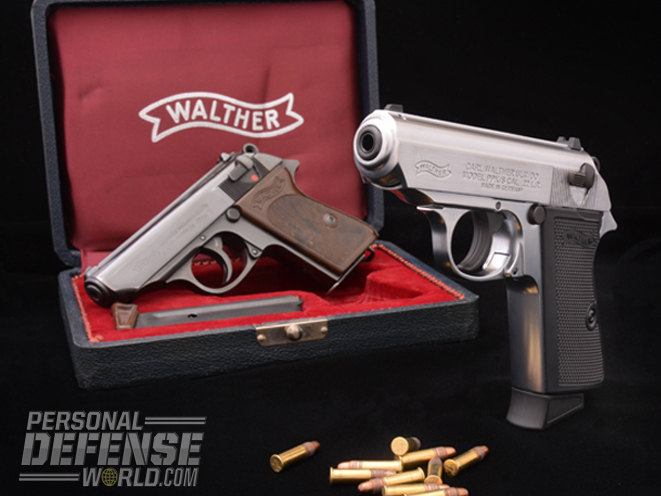 Adler writes, “Walther’s original .22 pistols were manufactured up until 1945, but the war years curtailed their production because .32 and .380 ACP models were issued to German military officers as sidearms. 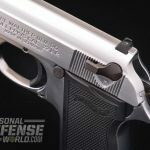 (There is an entire class of collectors specializing in WWII-era Walther PPK pistols that have specific proof marks showing they were issued to German police, political officials and others during the war. 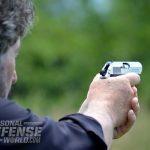 Most were chambered in .32 ACP.) 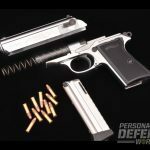 Additionally, due to the gun’s decade-long production prior to WWII, the PP and PPK were equally popular with the French Resistance and others who found the compact Walthers provided adequate firepower and easy concealment. 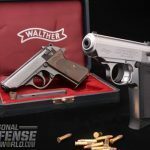 “After the war, Walther had to rebuild itself, and by 1950 was on the way to getting back into worldwide production, with the PP and PPK topping the list in .32 ACP, .380 ACP and .22 LR chamberings. 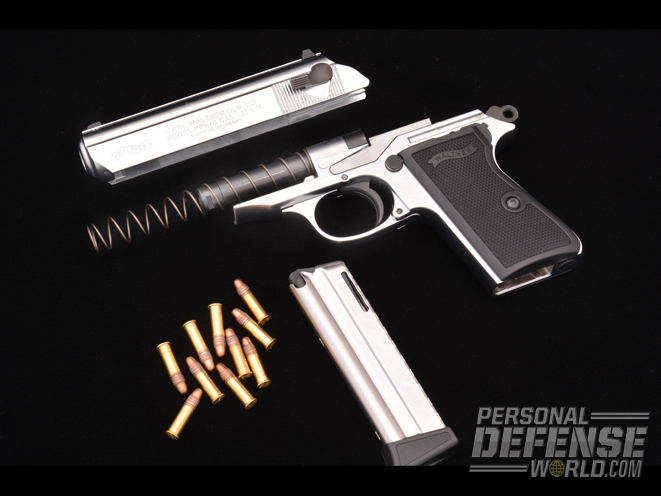 Featuring a fixed barrel and a low bore axis, the guns used a simple blowback action and innovative (for a semi-auto in 1930) double- action/single-action (DA/SA) trigger design. 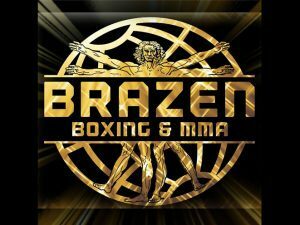 Brazen Boxing and MMA teaches the basics of self-defense and Jiu Jitsu.